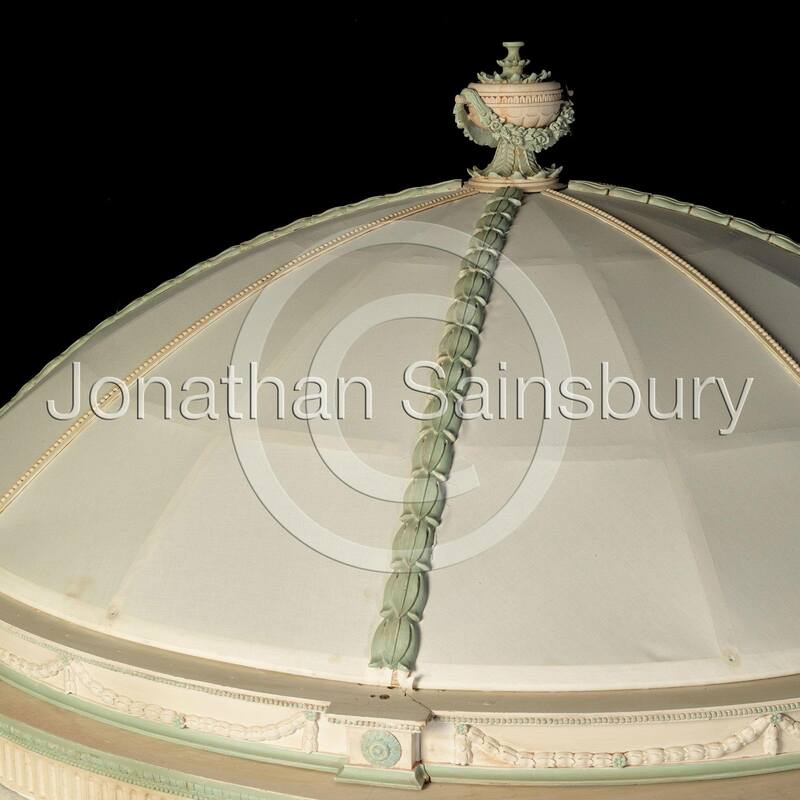 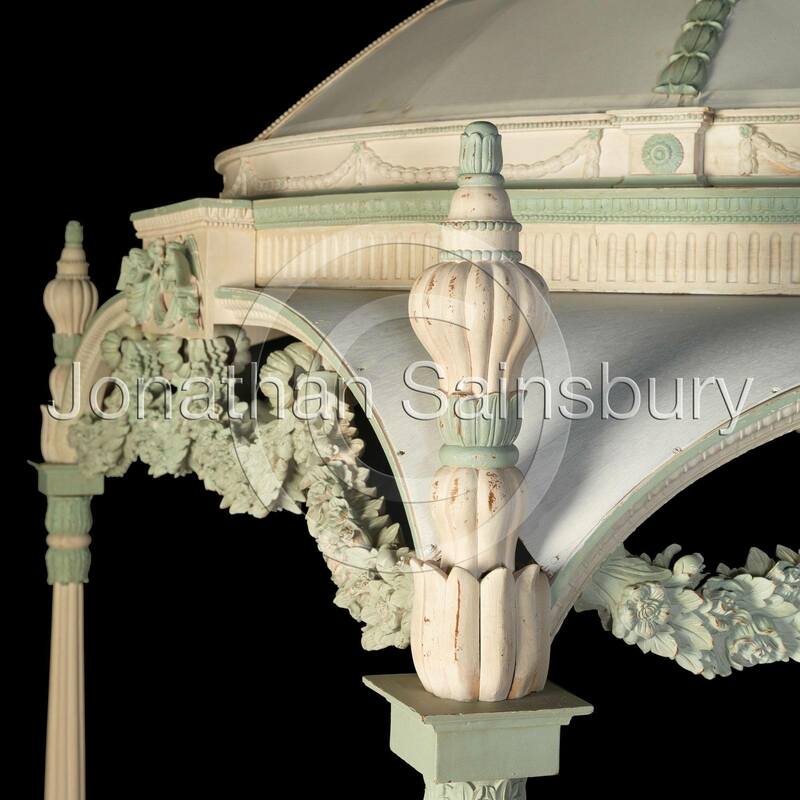 A resplendent four poster bed with exquisite hand-carvings and flutings and domed canopy. 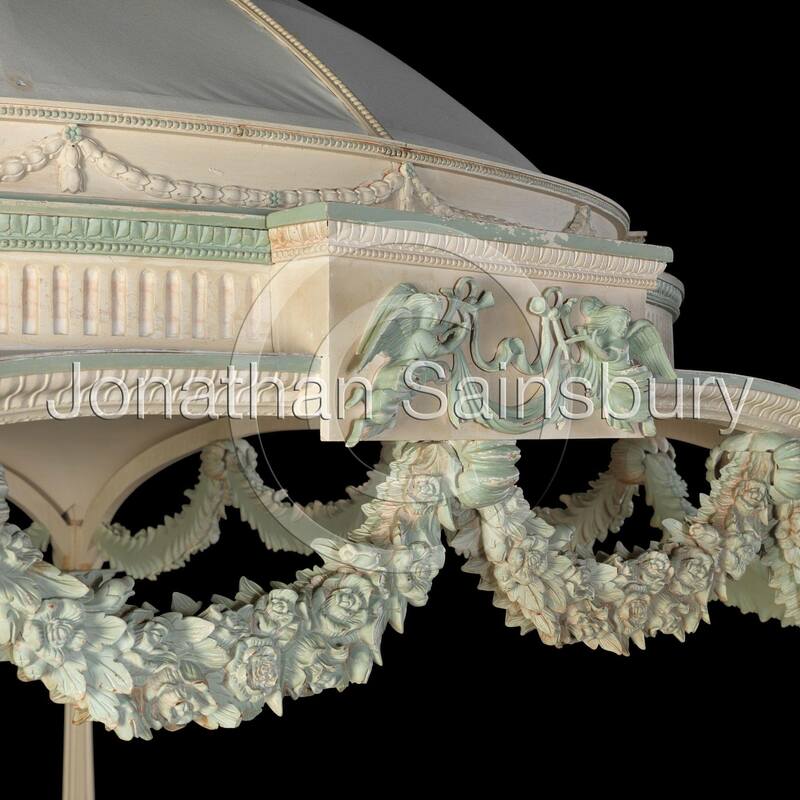 The bed takes its inspiration from the State Bed at Harewood House, Yorkshire, home to the Lascelles family since the mid 18th century. 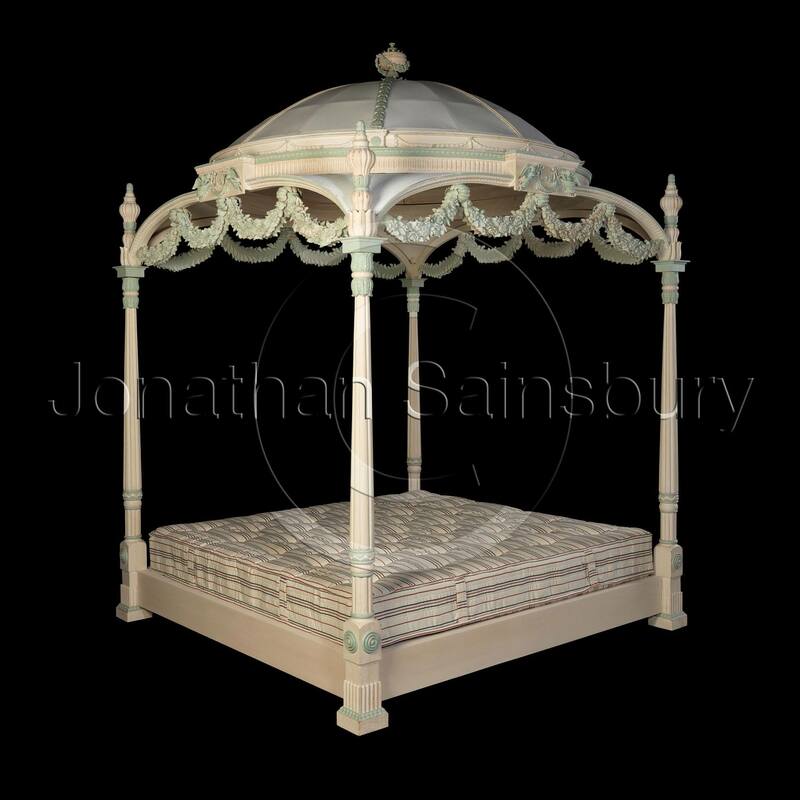 The original bed, which was completed in 1773, was designed by Robert Adam and made by England's great furniture maker, Thomas Chippendale.